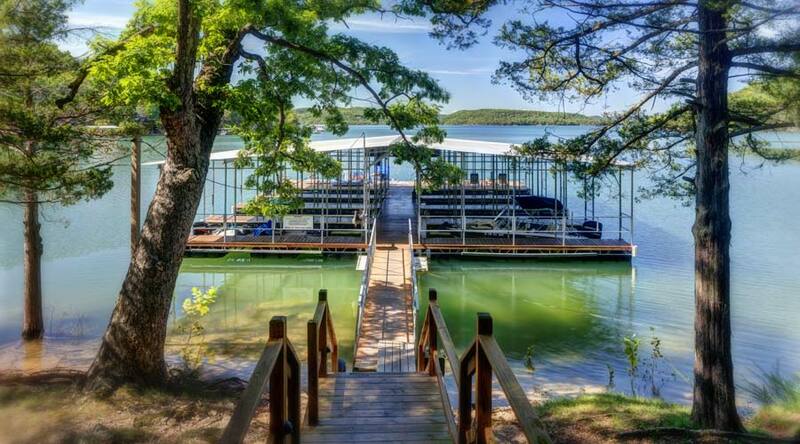 Bring the Boat! 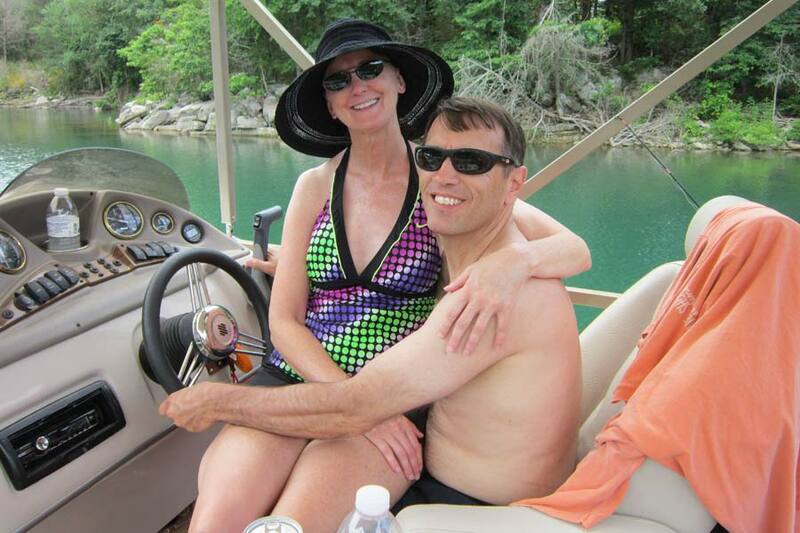 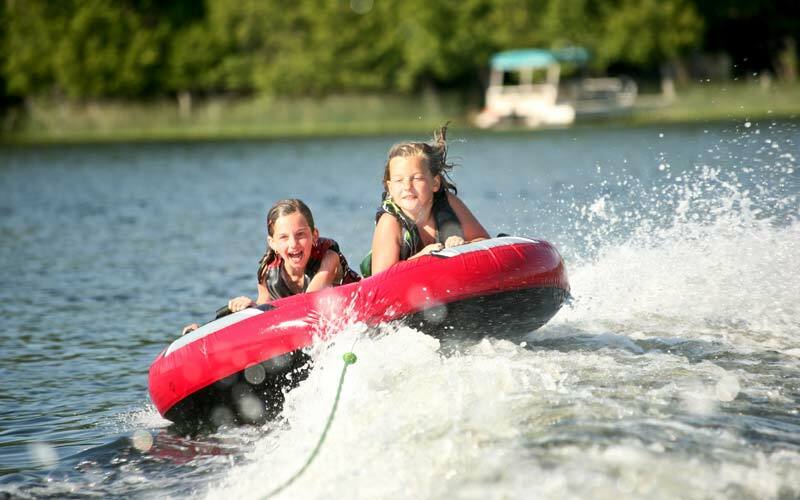 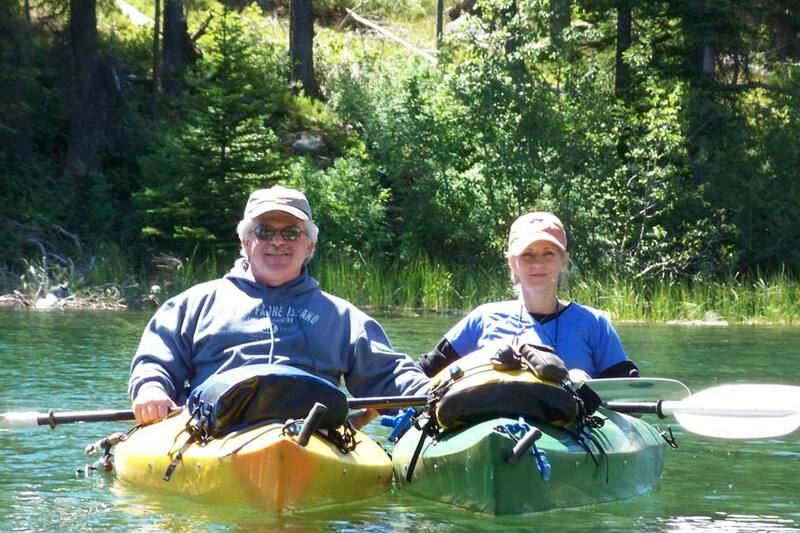 Have Some Fun at Our Beaver Lake Resort! 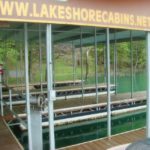 Enjoy easy access to the water at Lake Shore Cabins. 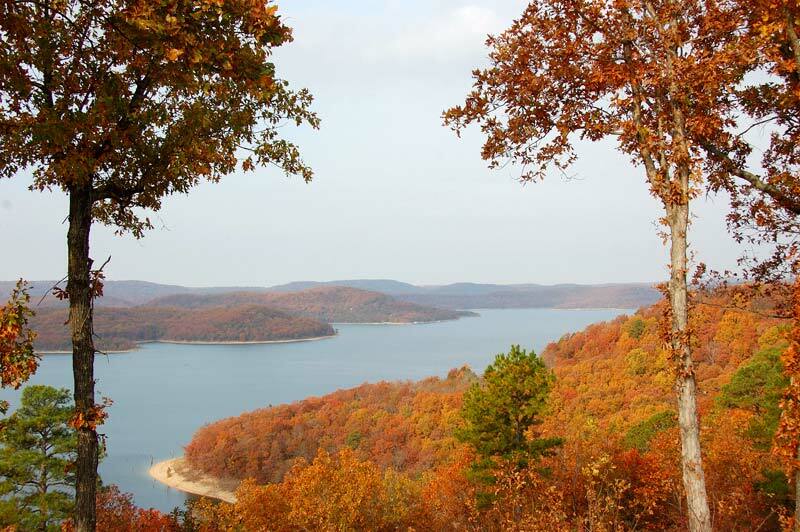 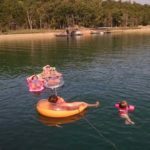 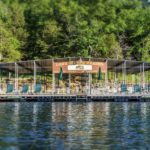 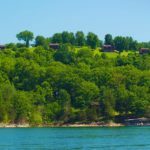 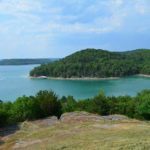 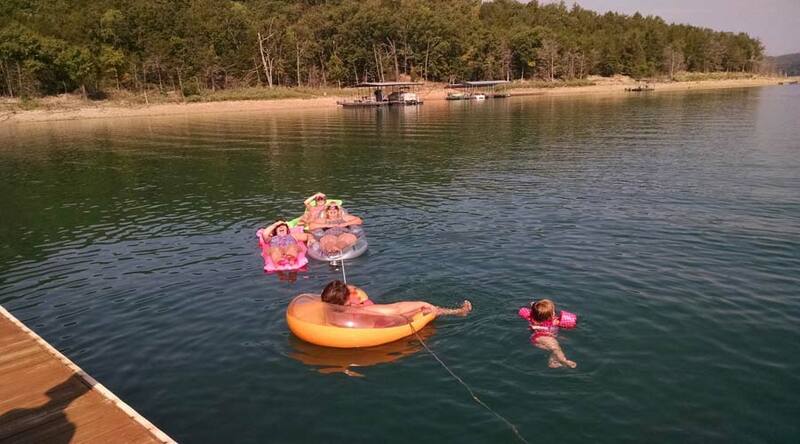 Our waterfront Beaver Lake resort, minutes from Eureka Springs, offers a great location and facilities for fun on and along the lake. 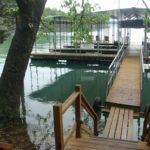 Take our wooden walkway with railings leading to a large, covered boat dock which features three ladders for swimmers (one we call the Granny ladder; easy incline steps that allow less effort to pull yourself out of the water), padded lounge chairs, chairs, picnic tables with umbrellas, area to fish, swim or just relax in the sun! 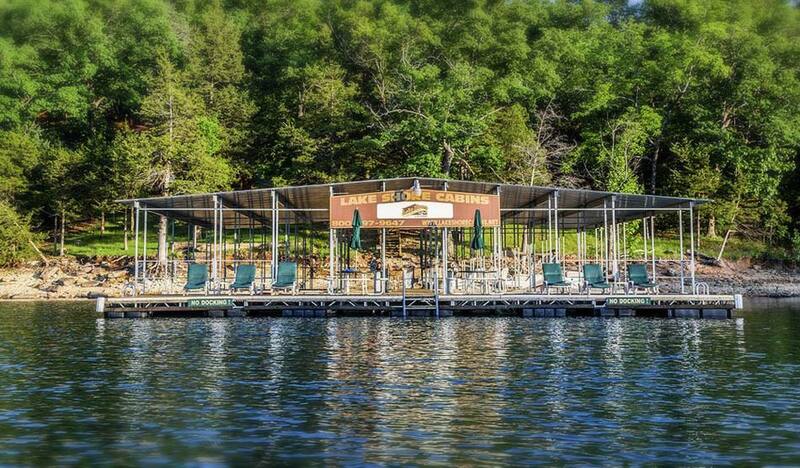 Bring Your Boat to Our Beaver Lake Resort! 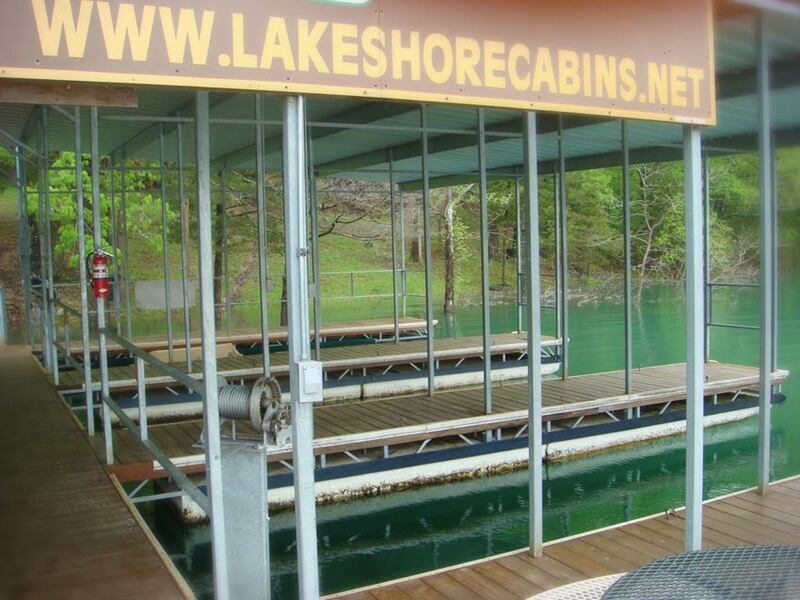 Our covered boat slips are 26’ long and 11.5’ wide equipped with electrical outlets for charging your battery. 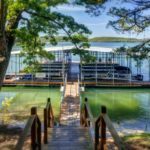 We also have two uncovered tie up positions available. 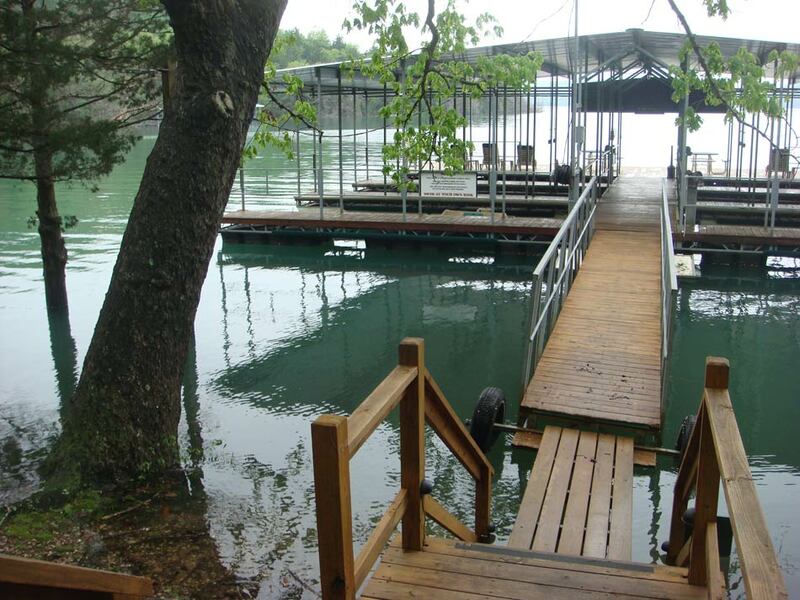 Boat Slips Rates: Covered Slips $15 per night, Uncovered Tie up Positions $10 per night. 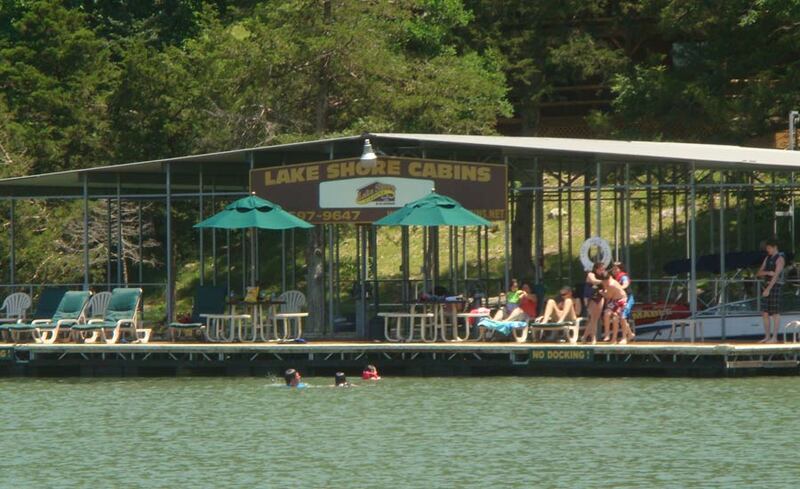 All Visitors of guests must register at the office. 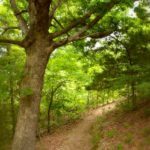 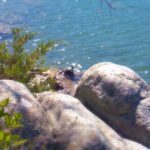 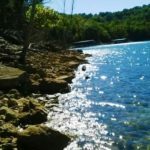 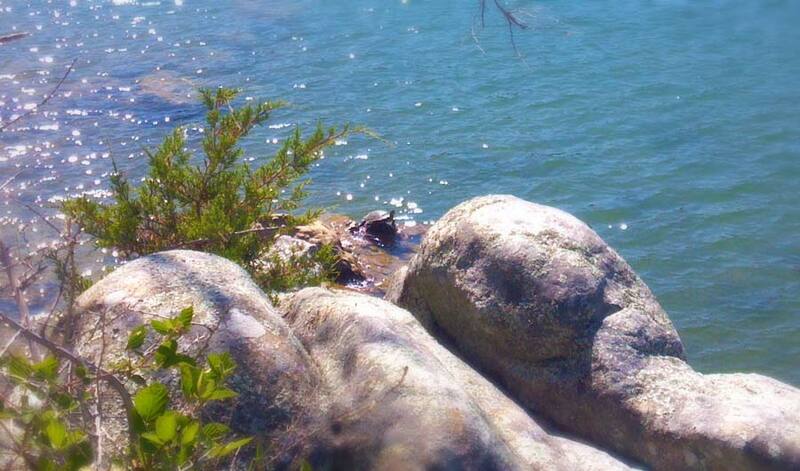 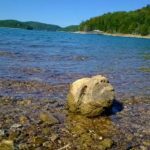 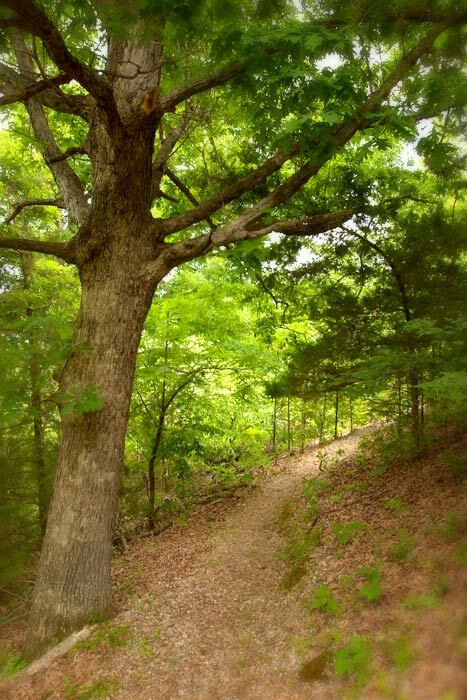 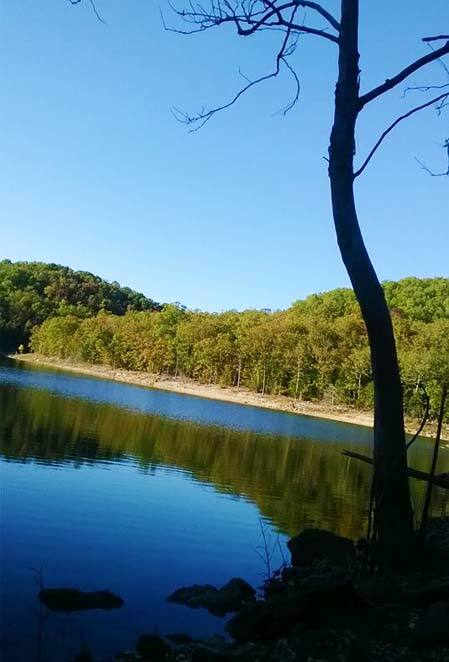 Hike the Lake Bank and Enjoy Nature! 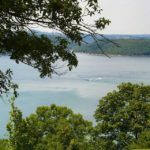 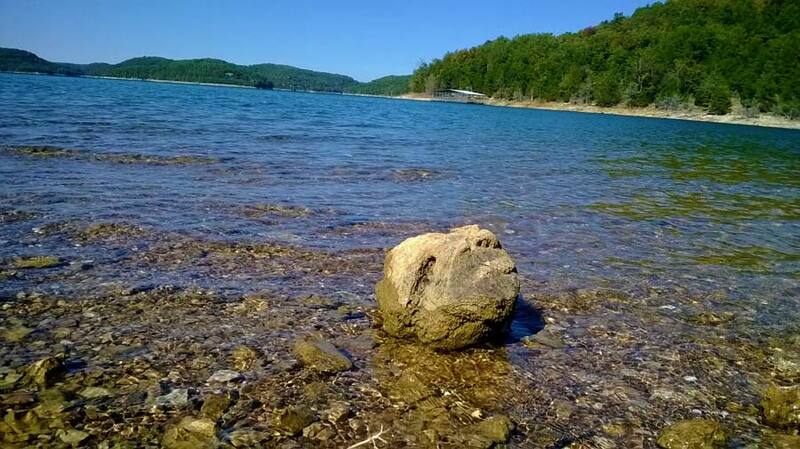 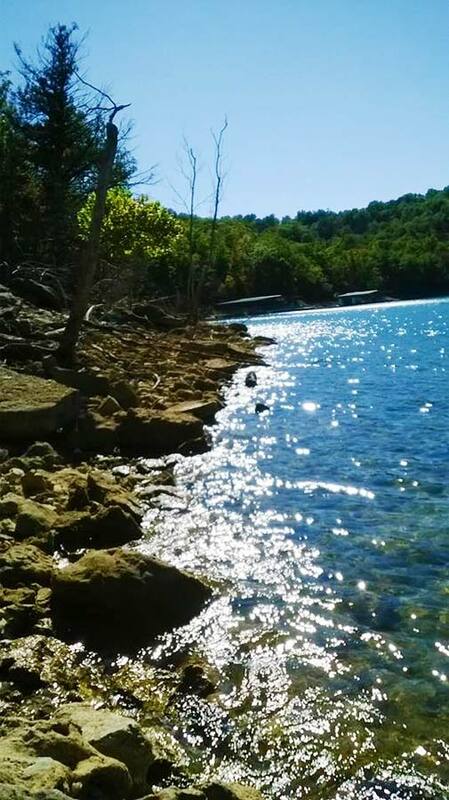 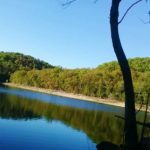 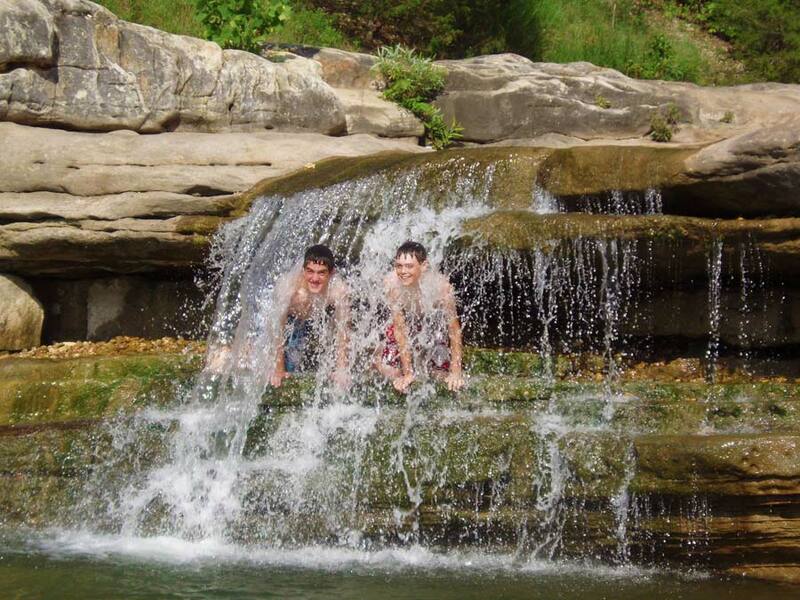 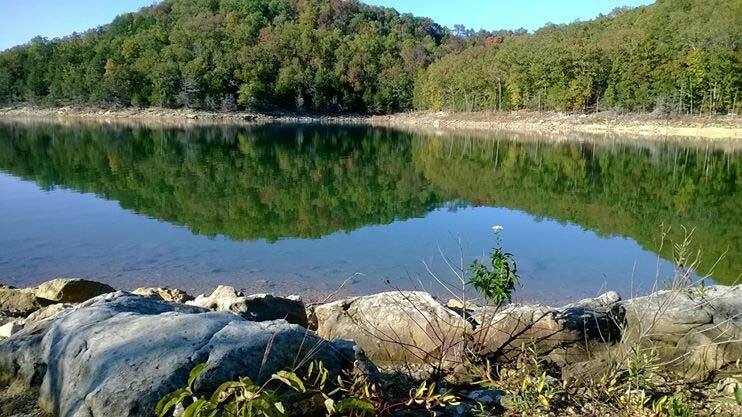 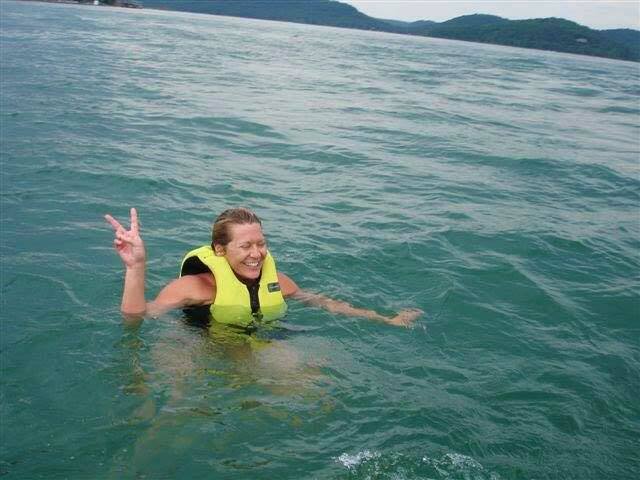 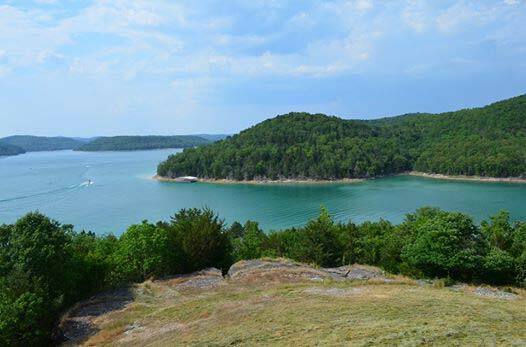 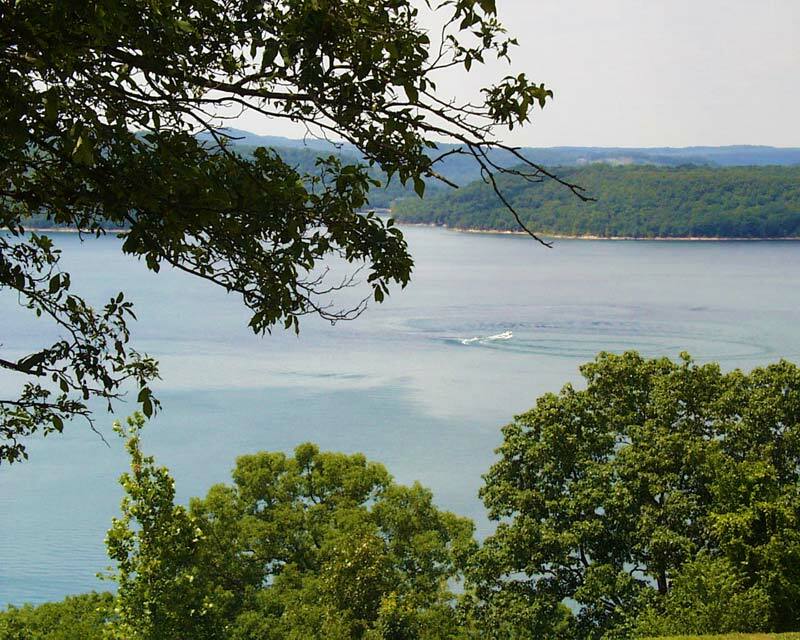 Beaver Lake boasts 28,000 acres of crystal clear water and 487 miles of shoreline highlighted by limestone bluffs. 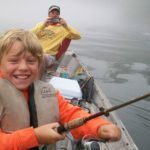 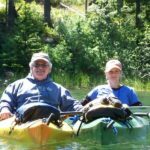 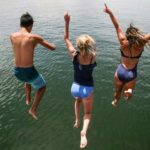 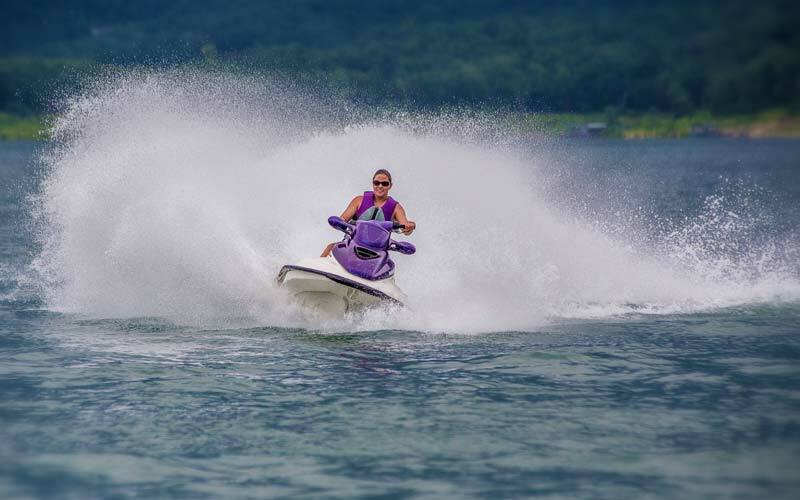 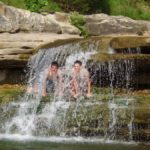 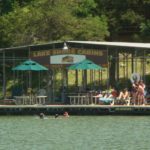 Enjoy a world of recreational opportunities such as boating, fishing, swimming, skiing, diving, hiking, eagle watching, wildlife viewing, and just plain relaxing. 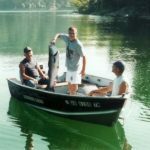 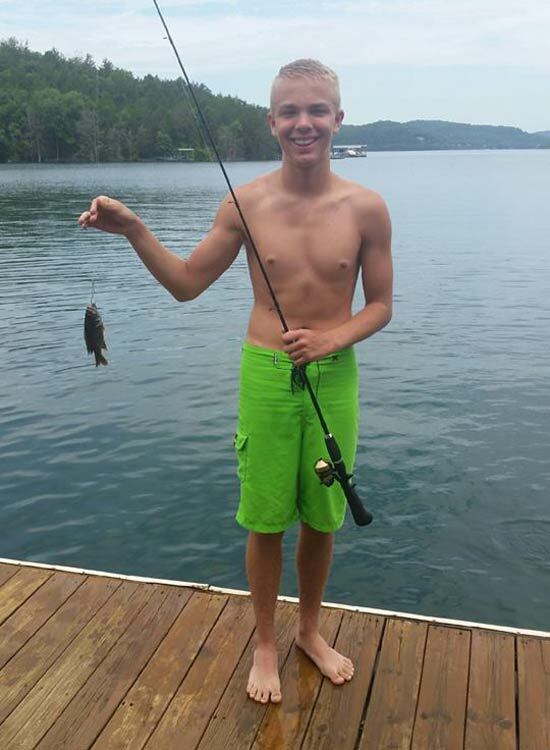 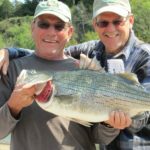 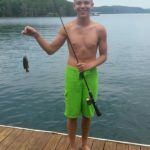 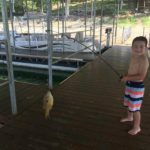 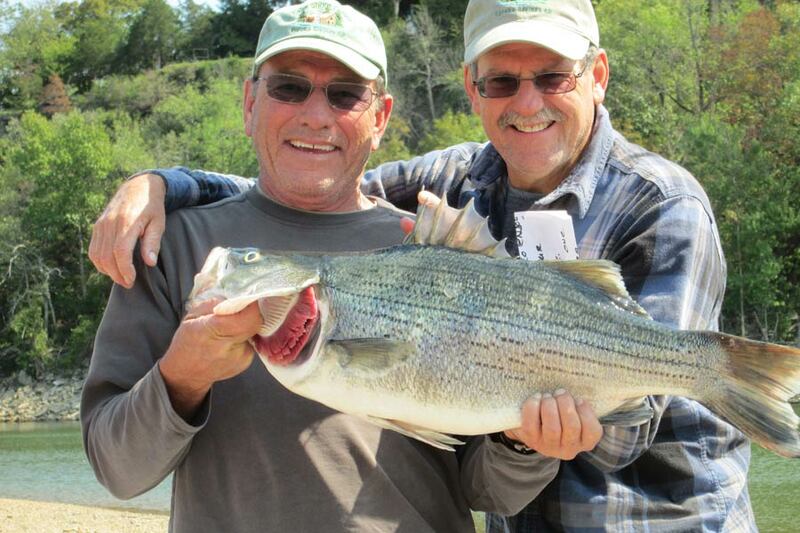 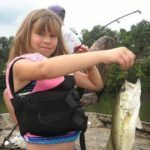 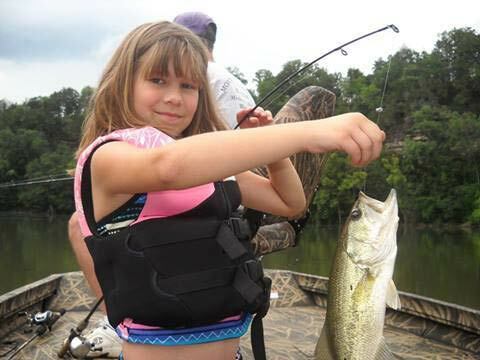 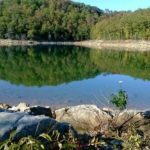 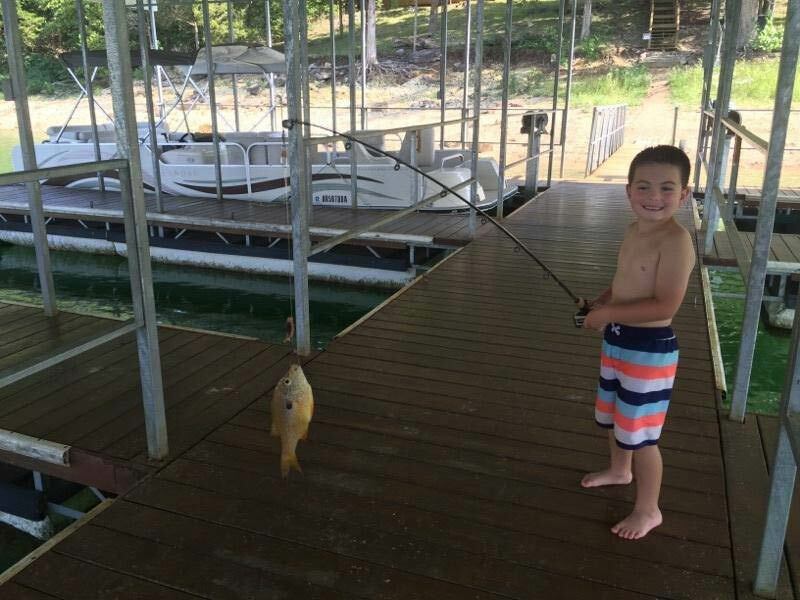 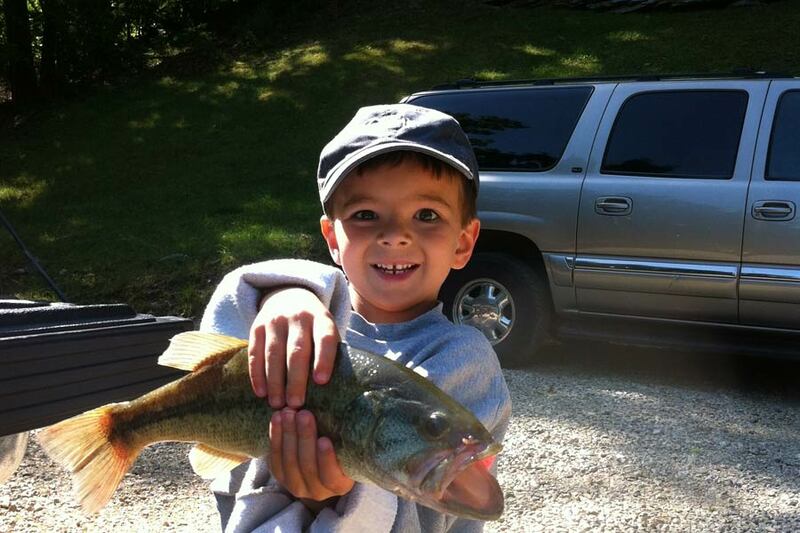 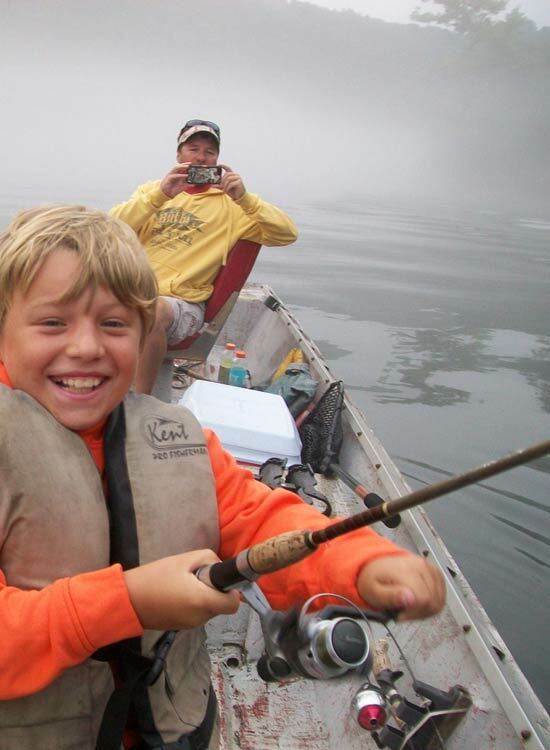 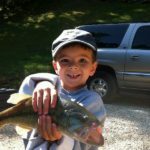 Beaver Lake offers trophy Striper Bass with state records up to 50 pounds, small and large mouth bass, crappie, bream, white bass, Channel and Spoonbill Catfish. 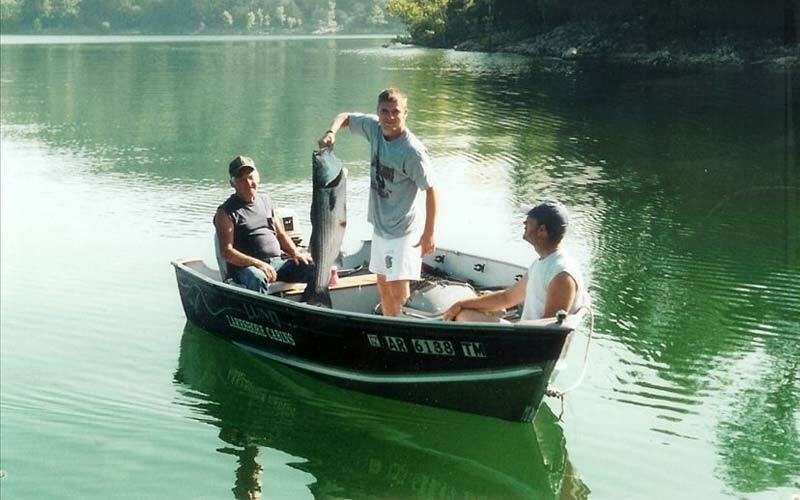 Experience the beautiful, White River, for trophy trout and calleye fishing, canoeing and kayaking. 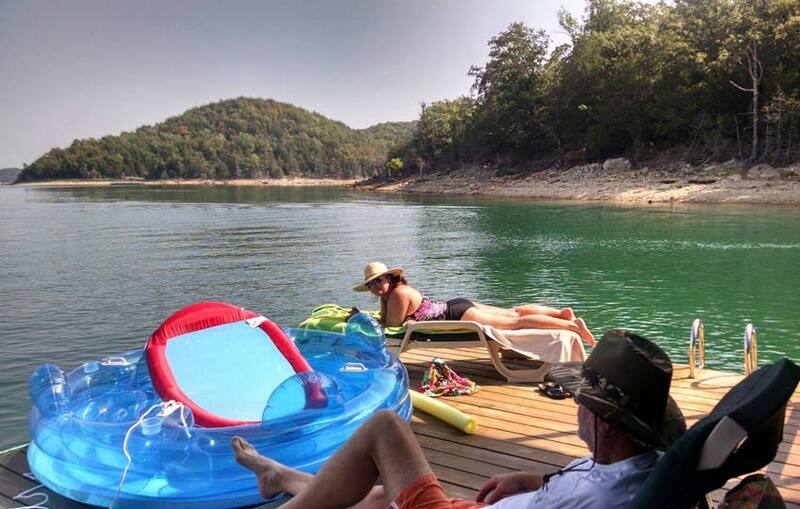 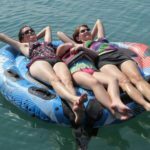 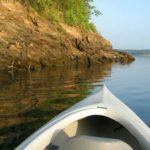 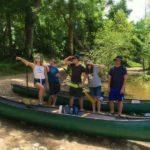 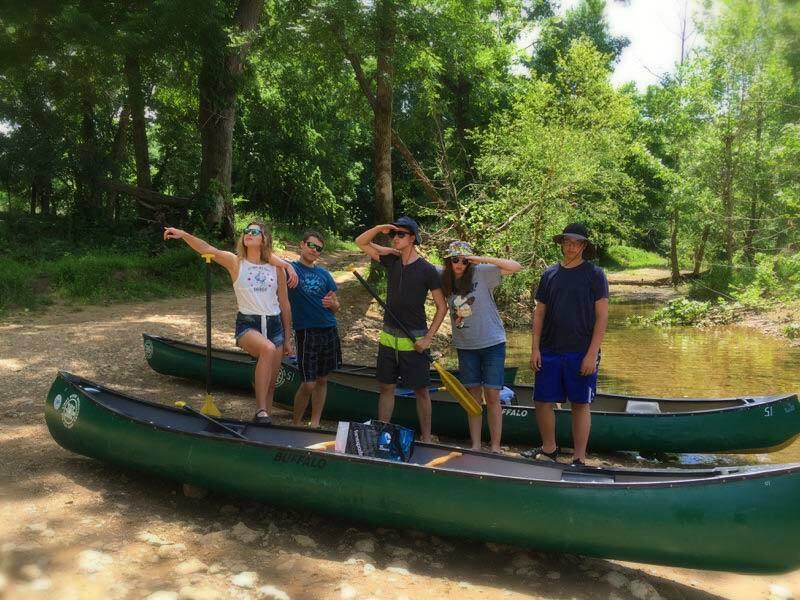 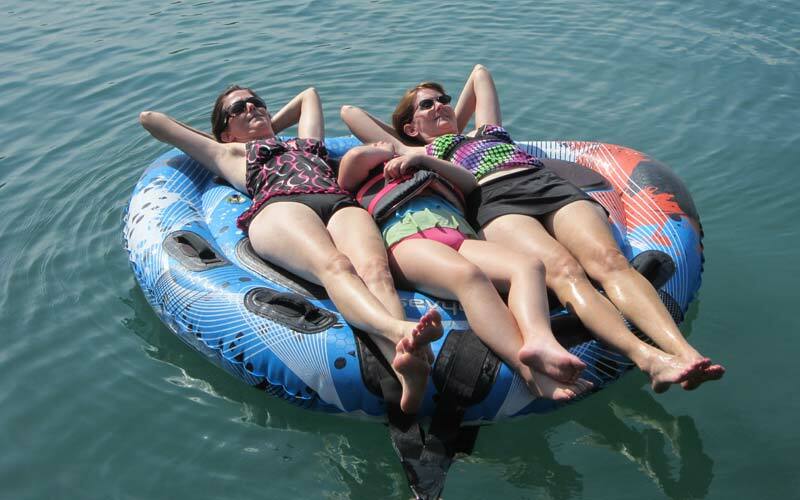 Canoes, kayaks and paddle-boats deliver to our dock from Clear Water Ozarks, OR visit nearby Starkey Marina to rent pontoon boats and enjoy dockside pizza, sandwiches and a cold beer. 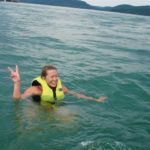 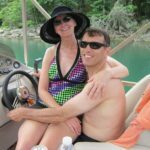 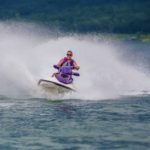 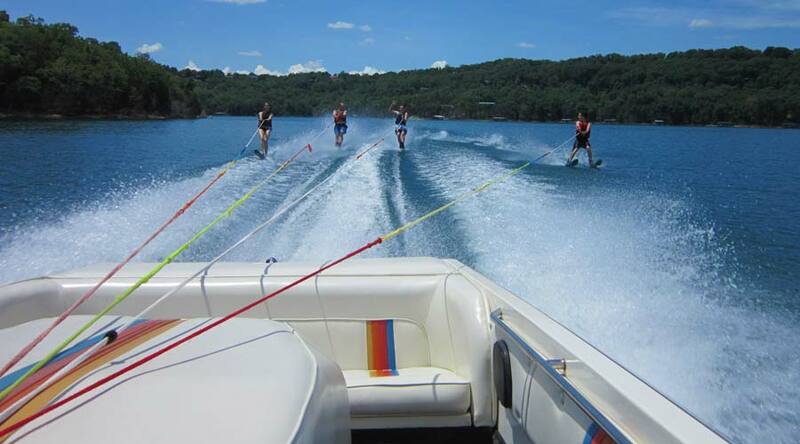 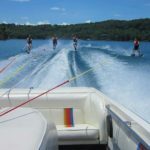 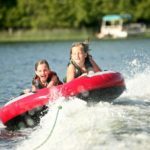 Looking for ski boats? 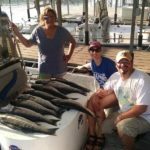 Visit Lost Bridge Marina. 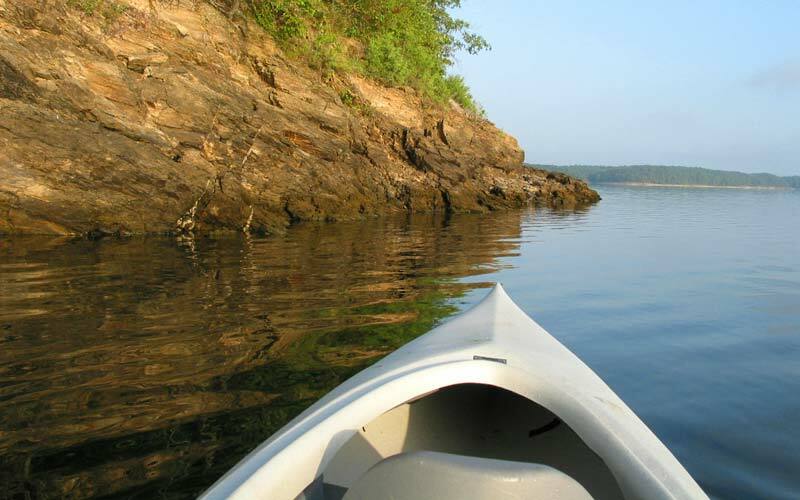 It’s located just 8 minutes by water but 45 minutes by car. 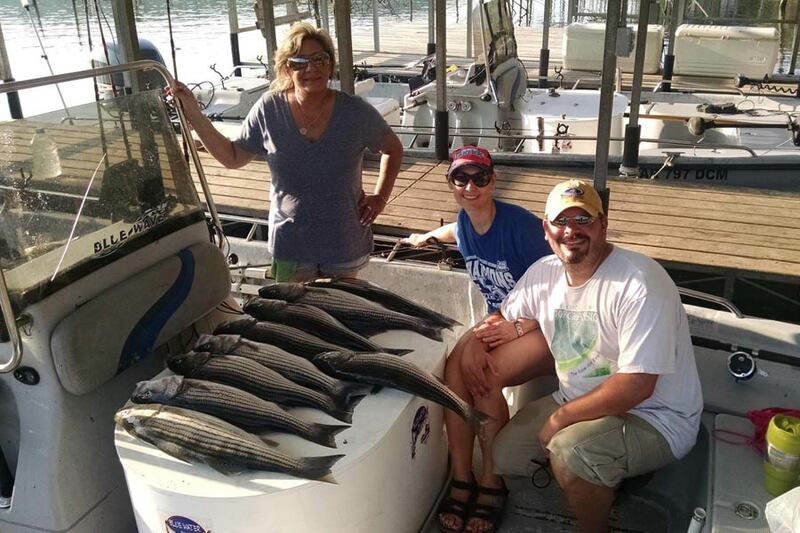 We offer a boat ride to this marina to save your vacation time for $10 a trip. 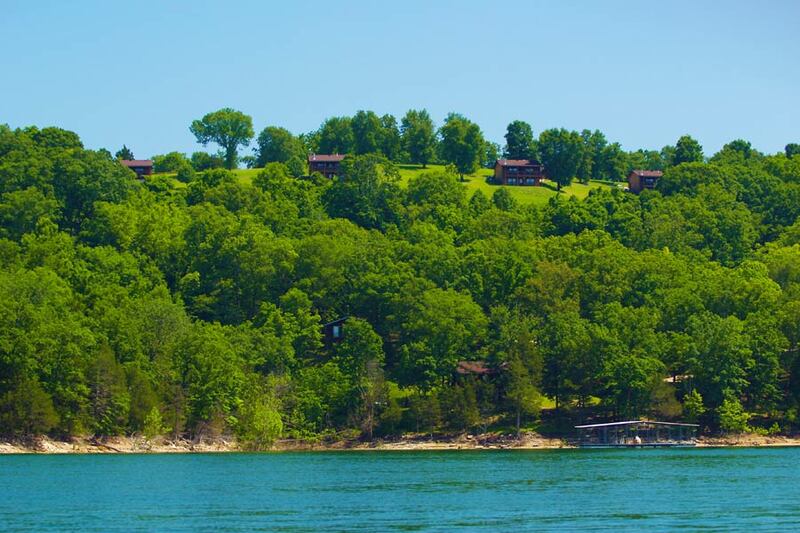 Please inquire at the office for availability. 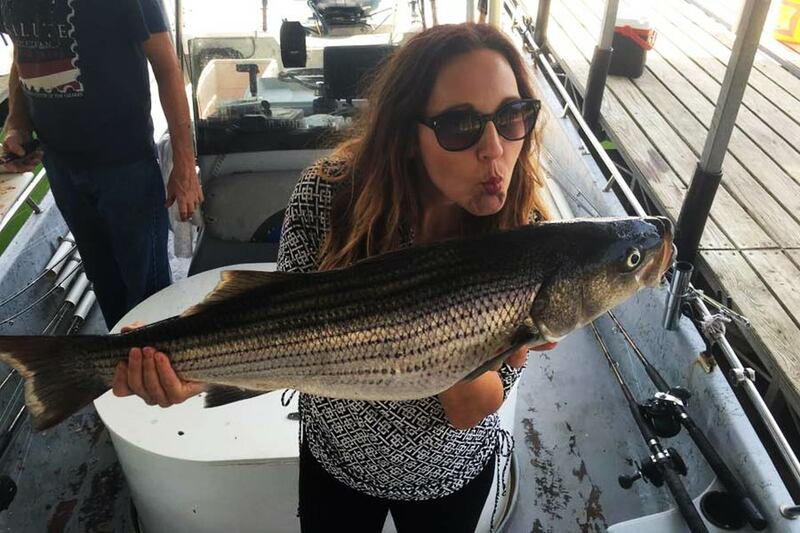 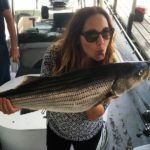 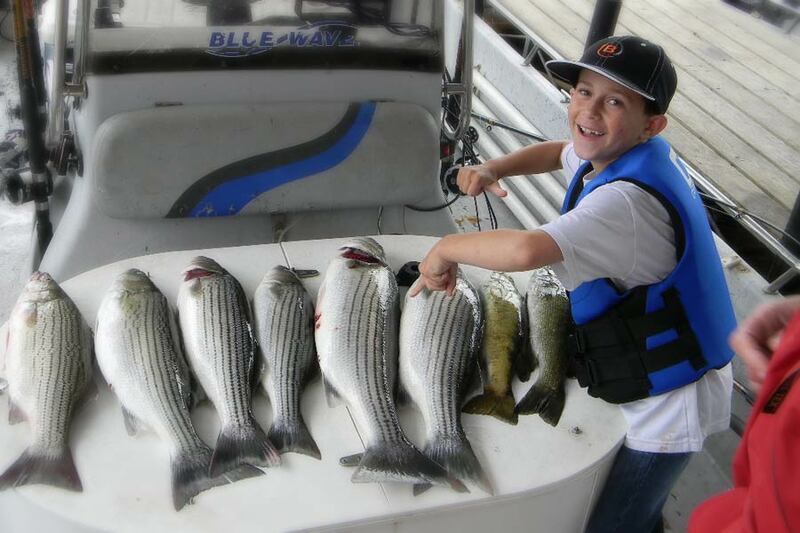 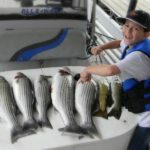 Local Striper Fishing Guides pick up and drop off at our dock with your fish cleaned and ready to cook. 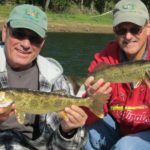 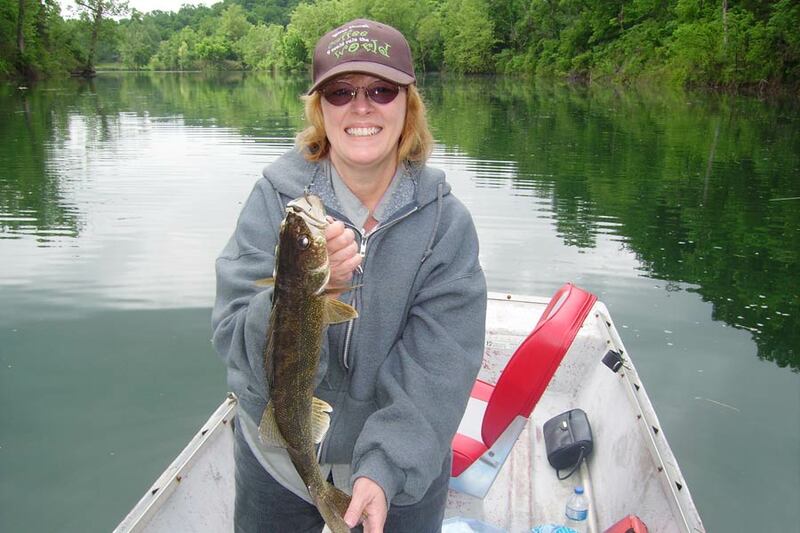 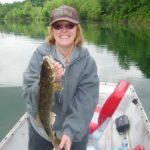 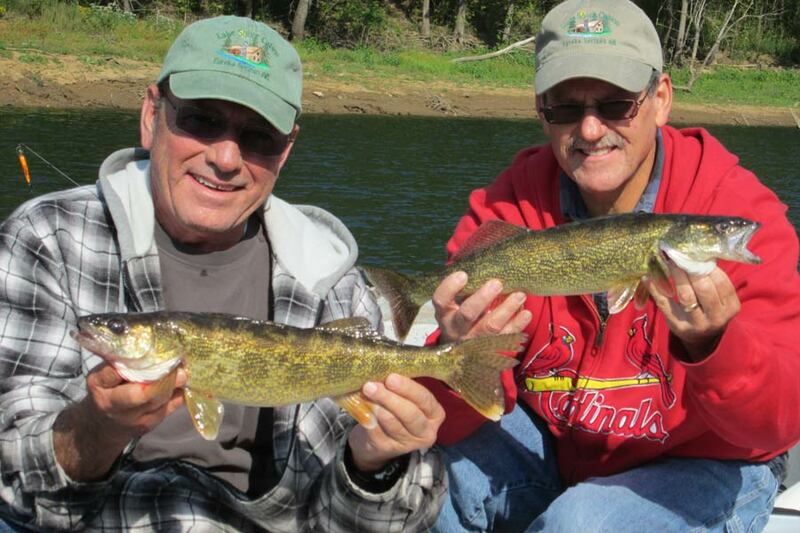 River Guides for trophy trout and walleye fishing available. 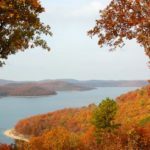 Visit our Area Information page for details!